The Holocaust had a deep effect on society in both Europe and the rest of the world. Its all a bunch off crackerjacks. The after effects are still evident today in children and adults whose ancestors faced this horrible scene. Bad Arolsen is a small town in northern Hesse, Germany, in Waldeck-Frankenberg district. From 1655 until 1918 it served as the residence town of the Princes of Waldeck-Pyrmont and then until 1929 as the capital of the Waldeck Free State. The International Tracing Service has its headquarters in Bad Arolsen. In 2003, the town hosted the 43rd Hessentag state festival. 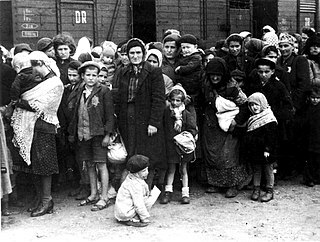 The Holocaust and its aftermath left millions of refugees, including many Jews who had lost most or all of their family members and possessions, and often faced persistent antisemitism in their home countries. The original plan of the Allies was to repatriate these "displaced persons" to their countries of origin, but many refused to return, or were unable to as their homes or communities had been destroyed. As a result, more than 250,000 languished in displaced persons camps for years after the war ended. With most displaced persons being unable or unwilling to return to their former homes in Europe, and with restrictions to immigration to many western countries remaining in place, the British Mandate of Palestine became the primary destination for many Jewish refugees. 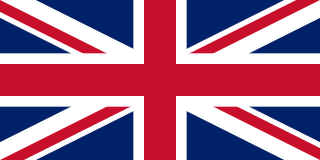 However, as local Arabs opposed their immigration, the United Kingdom refused to allow Jewish refugees into the Mandate territory. Countries in the Soviet Bloc made emigration difficult. Former Jewish partisans in Europe, along with the Haganah in British Mandate of Palestine, organized a massive effort to smuggle Jews into Palestine, called Berihah, which eventually transported 250,000 Jews (both displaced persons and those who had been in hiding during the war) to Mandate Palestine. After the State of Israel declared independence in 1948, Jews were able to emigrate to Israel legally and without restriction. By 1952, when the displaced persons camps were closed, there were more than 80,000 Jewish former displaced persons in the United States, about 136,000 in Israel, and another 10,000 in other countries, including Mexico, Japan, and countries in Africa and South America. Mandatory Palestine was a geopolitical entity established between 1920 and 1923 in the Middle East roughly corresponding the region of Palestine, as part of the Partition of the Ottoman Empire under the terms of the British Mandate for Palestine. The Kraków pogrom refers to the violent events that occurred on 11 August 1945, in the Soviet-occupied city of Kraków, Poland, which resulted in the shooting death of Róża Berger while standing behind closed doors by security forces, and the wounding of five others. The Kielce Pogrom was an outbreak of violence toward the Jewish community centre's gathering of refugees in the city of Kielce, Poland on 4 July 1946 by Polish soldiers, police officers, and civilians during which 42 Jews were killed and more than 40 were wounded. Polish courts later sentenced nine of the attackers to death in connection with the crimes. Żydokomuna ([ʐɨdɔkɔˈmuna], is a pejorative anti-Semitic stereotype suggesting that most Jews collaborated with the Soviet Union in importing Communism into Poland or that there was an exclusively Jewish conspiracy to do so. Some Poles saw communism as part of a wider Jewish-led conspiracy to seize power, despite Soviet leader Joseph Stalin's anti-Semitism and other Communists' view of religious, bourgeois, and Zionist Jews as enemies of communism. Jakub Berman was a prominent Polish communist during the Second Polish Republic. In the Polish People's Republic, he was a member of the Politburo of the Polish United Workers' Party (PZPR). Berman was in charge of the Ministry of Public Security and was considered Joseph Stalin's right hand in Poland. Hilary Minc was a communist politician in Stalinist Poland and a pro-Soviet Marxist economist. There has been a recent resurgence of interest among descendants of survivors in researching the fates of their relatives. Yad Vashem provides a searchable database of three million names, about half of the known Jewish victims. Yad Vashem's Central Database of Shoah Victims Names is searchable over the internet yadvashem.org or in person at the Yad Vashem complex in Israel. Other databases and lists of victims' names, some searchable over the internet, are listed in Holocaust (resources). Holocaust theology is a body of theological and philosophical debate concerning the role of God in the universe in light of the Holocaust of the late 1930s and 1940s. It is primarily found in Judaism; Jews were drastically affected by the Holocaust, in which six million Jews were murdered in a genocide by Nazi Germany and its allies. Jews were killed in higher proportions than other groups; some scholars limit the definition of the Holocaust to the Jewish victims of the Nazis as Jews alone were targeted for the Final Solution. Others include the additional five million non-Jewish victims, bringing the total to about 11 million. One third of the total worldwide Jewish population were killed during the Holocaust. The Eastern European Jewish population was particularly hard hit, being reduced by ninety percent. Within all of the monotheistic faiths many answers (theodicies) have been proposed. In light of the magnitude of depravity seen in the Holocaust, many people have also re-examined classical views on this subject. A common question raised in Holocaust theology is "How can people still have any kind of faith after the Holocaust?" Theodor Adorno commented that "writing poetry after Auschwitz is barbaric,"  and the Holocaust has indeed had a profound impact on art and literature, for both Jews and non-Jews. Some of the more famous works are by Holocaust survivors or victims, such as Elie Wiesel, Primo Levi, Viktor Frankl and Anne Frank, but there is a substantial body of literature and art in many languages. Indeed, Paul Celan wrote his poem Todesfuge  as a direct response to Adorno's dictum. Huge amounts of works of art were looted by the Nazis from Jewish art collectors and dealers, either through outright theft or fire sales under extreme duress. Thus, any work of art that existed prior to 1945 has a potential provenance problem. This is a serious obstacle for anyone who currently collects pre-1945 European art. To avoid wasting thousands or even millions of dollars, they must verify (normally with the assistance of an art historian and a lawyer specializing in art law) that potential acquisitions were not stolen by the Nazis from a Holocaust victim. The highest-profile legal case arising from this problem is the U.S. Supreme Court decision of Republic of Austria v. Altmann (2006), in which the Court held that U.S. courts could retroactively apply the Foreign Sovereign Immunities Act of 1976 to Austria for torts that allegedly occurred before 1976. The United Nations General Assembly voted on November 1, 2005, to designate January 27 as the "International Day of Commemoration in Memory of the Victims of the Holocaust." January 27, 1945, is the day that the former Nazi concentration and extermination camp of Auschwitz-Birkenau was liberated. The day had already been observed as Holocaust Memorial Day a number of countries. Israel and the Jewish diaspora observe Yom HaShoah Ve-Hagvora, the "Day of Remembrance of the Holocaust and the courage of the Jewish people," on the 27th day of the Hebrew month of Nisan, which generally falls in April. Starting in 1979, the United States' equivalent commemoration is similarly timed to include the 27 Nisan date as well in a given year, beginning on the Sunday before the Gregorian calendar date that 27 Nisan falls on, and onward for a week to the following Sunday. Holocaust denial is the claim that the genocide of Jews during World War II–usually referred to as the Holocaust  –did not occur in the manner and to the extent described by current scholars. ↑ Margolin, Elaine. "The Post-War West Germans’ Post-Holocaust Distortions." Jewish Journal. 6 February 2014. 9 February 2015. 1 2 Wistrich, R.S. (1995). Terms of Survival: The Jewish World Since 1945. Routledge. p. 271. ISBN 9780415100564 . Retrieved February 23, 2017. ↑ Bolaffi, G. (2003). Dictionary of Race, Ethnicity and Culture. SAGE Publications. p. 220. ISBN 9780761969006 . Retrieved February 23, 2017. ↑ "40% of Holocaust Survivors in Israel Live Below Poverty Line" [ permanent dead link ], Haaretz , December 29, 2005. ↑ David Shneer, Yiddish and the Creation of Soviet Jewish Culture: 1918-1930, Cambridge University Press, 2004. pp 13-14. ↑ David E. Fishman, The Rise of Modern Yiddish Culture, University of Pittsburgh Press, 2005. pp 84-85. Jan Schwarz, Survivors and Exiles: Yiddish Culture after the Holocaust, Wayne State University Press, 2015. עמ' 316. ↑ Snyder 2010 , p. 45. ↑ Dawidowicz 1975 , p. 403. ↑ "Poetry After Auschwitz: Is John Barth Relevant Anymore?". ↑ Celan, Paul. "Fugue of Death". Archived from the original on 2 February 2007. Retrieved January 23, 2007. ↑ "Four Seasons". Archived from the original on 2007-09-27. ↑ Serge Klarsfeld (26 June 2012). "Analysis of Statements Made During the June 20, 2012 Hearing of the U.S. Senate Committee of the Judiciary" (PDF). Memorial de la Shoah. Archived from the original (PDF) on 2 December 2013. Retrieved November 19, 2013. ↑ Diner, Dan (2003). "Restitution and Memory: The Holocaust in European Political Cultures". New German Critique (90): 36–44. doi:10.2307/3211106. JSTOR 3211106. 1 2 Donald L Niewyk, The Columbia Guide to the Holocaust, Columbia University Press, 2000, p.45: "The Holocaust is commonly defined as the murder of more than 5,000,000 Jews by the Germans in World War II." Estimates by scholars range from 5.1 million to 7 million. See the appropriate section of the Holocaust article. "Before discussing how Holocaust denial constitutes a conspiracy theory, and how the theory is distinctly American, it is important to understand what is meant by the term "Holocaust denial." Holocaust deniers, or "revisionists," as they call themselves, question all three major points of definition of the Nazi Holocaust. First, they contend that, while mass murders of Jews did occur (although they dispute both the intentionality of such murders as well as the supposed deservedness of these killings), there was no official Nazi policy to murder Jews. Second, and perhaps most prominently, they contend that there were no homicidal gas chambers, particularly at Auschwitz-Birkenau, where mainstream historians believe over 1 million Jews were murdered, primarily in gas chambers. And third, Holocaust deniers contend that the death toll of European Jews during World War II was well below 6 million. Deniers float numbers anywhere between 300,000 and 1.5 million, as a general rule." Mathis, Andrew E. Holocaust Denial, a Definition Archived 2011-06-09 at the Wayback Machine , The Holocaust History Project, July 2, 2004. Retrieved December 18, 2006. "Among the untruths routinely promoted are the claims that no gas chambers existed at Auschwitz, that only 600,000 Jews were killed rather than twelve million, and that Hitler had no murderous intentions toward Jews or other groups persecuted by his government." Holocaust Denial Archived 2007-04-04 at the Wayback Machine , Anti-Defamation League, 2001. Retrieved June 28, 2007. The confessions of former Nazis to war crimes were extracted through torture." The nature of Holocaust denial: What is Holocaust denial? Archived July 18, 2011, at the Wayback Machine , JPR report #3, 2000. Retrieved December 18, 2006. "Dressing themselves in pseudo-academic garb, they have adopted the term "revisionism" in order to mask and legitimate their enterprise." Introduction: Denial as Anti-Semitism Archived 2011-06-04 at the Wayback Machine , "Holocaust Denial: An Online Guide to Exposing and Combating Anti-Semitic Propaganda", Anti-Defamation League, 2001. Retrieved June 12, 2007. "This is the phenomenon of what has come to be known as 'revisionism', 'negationism', or 'Holocaust denial,' whose main characteristic is either an outright rejection of the very veracity of the Nazi genocide of the Jews, or at least a concerted attempt to minimize both its scale and importance... It is just as crucial, however, to distinguish between the wholly objectionable politics of denial and the fully legitimate scholarly revision of previously accepted conventional interpretations of any historical event, including the Holocaust." Bartov, Omer. The Holocaust: Origins, Implementation and Aftermath, Routledge, pp.11-12. Bartov is John P. Birkelund Distinguished Professor of European History at the Watson Institute, and is regarded as one of the world's leading authorities on genocide ("Omer Bartov" Archived 2008-12-16 at the Wayback Machine , The Watson Institute for International Studies). "This essay describes, from a methodological perspective, some of the inherent flaws in the "revisionist" approach to the history of the Holocaust. It is not intended as a polemic, nor does it attempt to ascribe motives. Rather, it seeks to explain the fundamental error in the "revisionist" approach, as well as why that approach of necessity leaves no other choice. It concludes that "revisionism" is a misnomer because the facts do not accord with the position it puts forward and, more importantly, its methodology reverses the appropriate approach to historical investigation... "Revisionism" is obliged to deviate from the standard methodology of historical pursuit, because it seeks to mold facts to fit a preconceived result; it denies events that have been objectively and empirically proved to have occurred; and because it works backward from the conclusion to the facts, thus necessitating the distortion and manipulation of those facts where they differ from the preordained conclusion (which they almost always do). In short, "revisionism" denies something that demonstrably happened, through methodological dishonesty." McFee, Gordon. "Why 'Revisionism' Isn't" Archived 2010-04-28 at the Wayback Machine , The Holocaust History Project, May 15, 1999. Retrieved December 22, 2006. "Crucial to understanding and combating Holocaust denial is a clear distinction between denial and revisionism. One of the more insidious and dangerous aspects of contemporary Holocaust denial, a la Arthur Butz, Bradley Smith and Greg Raven, is the fact that they attempt to present their work as reputable scholarship under the guise of 'historical revisionism.' The term 'revisionist' permeates their publications as descriptive of their motives, orientation and methodology. In fact, Holocaust denial is in no sense 'revisionism,' it is denial... Contemporary Holocaust deniers are not revisionists — not even neo-revisionists. They are Deniers. Their motivations stem from their neo-nazi political goals and their rampant antisemitism." Austin, Ben S. "Deniers in Revisionists Clothing" Archived November 21, 2008, at the Wayback Machine , The Holocaust\Shoah Page, Middle Tennessee State University. Retrieved March 29, 2007. "Holocaust denial can be a particularly insidious form of antisemitism precisely because it often tries to disguise itself as something quite different: as genuine scholarly debate (in the pages, for example, of the innocuous-sounding Journal for Historical Review). Holocaust deniers often refer to themselves as ‘revisionists’, in an attempt to claim legitimacy for their activities. There are, of course, a great many scholars engaged in historical debates about the Holocaust whose work should not be confused with the output of the Holocaust deniers. Debate continues about such subjects as, for example, the extent and nature of ordinary Germans’ involvement in and knowledge of the policy of genocide, and the timing of orders given for the extermination of the Jews. However, the valid endeavour of historical revisionism, which involves the re-interpretation of historical knowledge in the light of newly emerging evidence, is a very different task from that of claiming that the essential facts of the Holocaust, and the evidence for those facts, are fabrications." The nature of Holocaust denial: What is Holocaust denial? Archived July 18, 2011, at the Wayback Machine , JPR report #3, 2000. Retrieved May 16, 2007. "The title of App's major work on the Holocaust, The Six Million Swindle, is informative because it implies on its very own the existence of a conspiracy of Jews to perpetrate a hoax against non-Jews for monetary gain." Mathis, Andrew E. Holocaust Denial, a Definition Archived 2011-06-09 at the Wayback Machine , The Holocaust History Project, July 2, 2004. Retrieved May 16, 2007. "Jews are thus depicted as manipulative and powerful conspirators who have fabricated myths of their own suffering for their own ends. According to the Holocaust deniers, by forging evidence and mounting a massive propaganda effort, the Jews have established their lies as ‘truth’ and reaped enormous rewards from doing so: for example, in making financial claims on Germany and acquiring international support for Israel." The nature of Holocaust denial: What is Holocaust denial? Archived July 18, 2011, at the Wayback Machine , JPR report #3, 2000. Retrieved May 16, 2007. "Since its inception in 1979, the Institute for Historical Review (IHR), a California-based Holocaust denial organization founded by Willis Carto of Liberty Lobby, has promoted the antisemitic conspiracy theory that Jews fabricated tales of their own genocide to manipulate the sympathies of the non-Jewish world." Antisemitism and Racism Country Reports: United States Archived June 28, 2011, at the Wayback Machine , Stephen Roth Institute, 2000. Retrieved May 17, 2007. "They [Holocaust deniers] picture a vast shadowy conspiracy that controls and manipulates the institutions of education, culture, the media and government in order to disseminate a pernicious mythology. The purpose of this Holocaust mythology, they assert, is the inculcation of a sense of guilt in the white, Western Christian world. Those who can make others feel guilty have power over them and can make them do their bidding. This power is used to advance an international Jewish agenda centered in the Zionist enterprise of the State of Israel." Introduction: Denial as Anti-Semitism Archived 2011-06-04 at the Wayback Machine , "Holocaust Denial: An Online Guide to Exposing and Combating Anti-Semitic Propaganda", Anti-Defamation League, 2001. Retrieved June 12, 2007. "Contemporary Holocaust deniers are not revisionists — not even neo-revisionists. They are Deniers. Their motivations stem from their neo-nazi political goals and their rampant antisemitism." Austin, Ben S. "Deniers in Revisionists Clothing" Archived November 21, 2008, at the Wayback Machine , The Holocaust\Shoah Page, Middle Tennessee State University. Retrieved March 29, 2007. "Holocaust denial can be a particularly insidious form of antisemitism precisely because it often tries to disguise itself as something quite different: as genuine scholarly debate (in the pages, for example, of the innocuous-sounding Journal for Historical Review)." The nature of Holocaust denial: What is Holocaust denial? Archived July 18, 2011, at the Wayback Machine , JPR report #3, 2000. Retrieved May 16, 2007. "Holocaust denial is a contemporary form of the classic anti-Semitic doctrine of the evil, manipulative and threatening world Jewish conspiracy." Introduction: Denial as Anti-Semitism Archived 2011-06-04 at the Wayback Machine , "Holocaust Denial: An Online Guide to Exposing and Combating Anti-Semitic Propaganda", Anti-Defamation League, 2001. Retrieved June 12, 2007. "While appearing on the surface as a rather arcane pseudo-scholarly challenge to the well-established record of Nazi genocide during the Second World War, Holocaust denial serves as a powerful conspiracy theory uniting otherwise disparate fringe groups..." Introduction: Denial as Anti-Semitism Archived 2011-06-04 at the Wayback Machine , "Holocaust Denial: An Online Guide to Exposing and Combating Anti-Semitic Propaganda", Anti-Defamation League, 2001. Retrieved June 12, 2007. "Before discussing how Holocaust denial constitutes a conspiracy theory, and how the theory is distinctly American, it is important to understand what is meant by the term 'Holocaust denial.'" Mathis, Andrew E. Holocaust Denial, a Definition Archived 2011-06-09 at the Wayback Machine , The Holocaust History Project, July 2, 2004. Retrieved December 18, 2006. "'Revisionism' is obliged to deviate from the standard method of historical pursuit because it seeks to mold facts to fit a preconceived result, it denies events that have been objectively and empirically proved to have occurred, and because it works backward from the conclusion to the facts, thus necessitating the distortion and manipulation of those facts where they differ from the preordained conclusion (which they almost always do). In short, "revisionism" denies something that demonstrably happened, through methodical dishonesty." McFee, Gordon. "Why 'Revisionism' Isn't" Archived 2010-04-28 at the Wayback Machine , The Holocaust History Project, May 15, 1999. Retrieved December 22, 2006. ↑ "German TV Is Sanitizing History". Foreign Policy . April 9, 2018. The Holocaust Industry: Reflections on the Exploitation of Jewish Suffering is a 2000 book by Norman G. Finkelstein, in which the author argues that the American Jewish establishment exploits the memory of the Nazi Holocaust for political and financial gain, as well as to further the interests of Israel. According to Finkelstein, this "Holocaust industry" has corrupted Jewish culture and the authentic memory of the Holocaust. The Institute for Historical Review (IHR), founded in 1978, is an organization based in California, United States, best known for publishing articles and books promoting Holocaust denial, a practice which attracted notoriety to the IHR. It is considered by many scholars to be central to the international Holocaust denial movement. IHR promotes antisemitic viewpoints, as well as having links to neo-Nazi organizations. The Institute published the Journal of Historical Review until 2002, but now disseminates its materials through its website and via email. The Institute is affiliated with the Legion for the Survival of Freedom and Noontide Press. Lucy Schildkret Dawidowicz was an American historian and writer. She wrote books on modern Jewish history, in particular books on the Holocaust. Radio Islam was a Swedish Islamic radio channel, now a website. The EU's racism monitoring organization has called it "one of the most radical right-wing antisemitic homepages on the net". Salvador Borrego Escalante was a Mexican journalist and historical revisionist writer. Michael Anthony Hoffman II is an American conspiracy theorist and Holocaust denier. Austin Joseph App was a German-American professor of medieval English literature who taught at the University of Scranton and La Salle University. App defended Germans and Nazi Germany during World War II. He is known for his work denying the Holocaust, and he has been called the first major American Holocaust denier. The Hoax of the Twentieth Century: The Case Against the Presumed Extermination of European Jewry is a book by Northwestern University electrical engineering professor Arthur Butz. The book was first published in 1976 in the United Kingdom by Anthony Hancock’s Historical Review Press, known as a Holocaust denial publisher. An antisemitic work, it has been influential in the Holocaust denial movement. Robert Solomon Wistrich was the Erich Neuberger Professor of European and Jewish history at the Hebrew University of Jerusalem, and the head of the University's Vidal Sassoon International Center for the Study of Antisemitism. According to Indiana University, Wistrich was "a leading scholar of the history of antisemitism." Antisemitic canards are unfounded rumors or false allegations which are defamatory towards Judaism as a religion, or defamatory towards Jews as an ethnic or religious group. They often form part of broader theories of Jewish conspiracies. According to defense attorney Kenneth Stern, "Historically, Jews have not fared well around conspiracy theories. Such ideas fuel anti-Semitism. The myths that all Jews are responsible for the death of Christ, or poisoned wells, or killed Christian children to bake matzos, or "made up" the Holocaust, or plot to control the world, do not succeed each other; rather, the list of anti-Semitic canards gets longer." Secondary antisemitism is a distinct kind of antisemitism which is said to have appeared after the end of World War II. Secondary antisemitism is often explained as being caused by the Holocaust. One frequently quoted formulation of the concept, first published in Henryk M. Broder's 1986 book Der Ewige Antisemit, stems from the Israeli psychiatrist Zvi Rex, who once remarked: "The Germans will never forgive the Jews for Auschwitz." The term itself was coined by Peter Schönbach, a Frankfurt School co-worker of Theodor W. Adorno and Max Horkheimer, based on their Critical Theory. Gheorghe Buzatu in Sihlea, Vrancea County, was a Romanian historian, politician, and professor of history at the University of Iași. Elected to the Romanian Senate for Iași County in 2000 on the lists of the extremist Greater Romania Party, he served as a vice president of that body over the next four years. He is best known for his controversial publications about the Jews and the Holocaust in Romania during World War II. This timeline of antisemitism chronicles the facts of antisemitism, hostile actions or discrimination against Jews as a religious or ethnic group, in the 20th century. It includes events in the history of antisemitic thought, actions taken to combat or relieve the effects of antisemitism, and events that affected the prevalence of antisemitism in later years. The history of antisemitism can be traced from ancient times to the present day.